With its full metal unibody construction, beautiful display, solid battery life, aggressive pricing, and processing package that is arguably the best right now, the Meizu Pro 5 is a fantastic flagship offering that should certainly not be overlooked. A now almost standard trend in the Android smartphone world is the presence of “Pro” or “Plus” iterations of popular flagships, with this suffix not only indicative of a bump in size, but, as seen with a lot of such devices, a boost in specifications and features as well. Meizu has jumped on the bandwagon with the Meizu Pro 5, and while the Chinese OEM may have dropped the MX moniker, the Pro 5 is essentially the larger sibling of the flagship MX 5. What does this Pro iteration bring to the table? 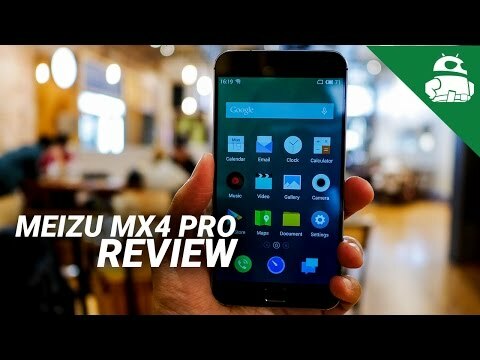 We find out, in this in-depth Meizu Pro 5 review! As mentioned, the Meizu Pro 5 is basically a larger version of the previously released MX 5, and retains the design language of its flagship counterpart, with its metal unibody construction and rounded corners and sides. The device is thin and relatively lightweight, and as you would expect from a full metal body, feels solid in the hand. While the rounded sides do make the device comfortable to hold, it doesn’t offer much in the way of grip, making for quite a slippery device. Taking a look around the device, the power button and volume rocker are on the right side, and the buttons feel solid, while offering a good amount of tactile feedback. Up top is the headphone jack, and on the left is the dual SIM tray, with the secondary SIM slot also functioning as a microSD card slot. At the bottom is a single speaker, and the charging port, this time of the USB Type-C variety, making Meizu one of the few OEMs to adopt the latest standard. You won’t get any capacitive or on-screen navigation keys with the Pro 5. Instead there is a solitary home button instead, which functions as a back button with a light tap, and also a sleep/wake button with a long press. The home button is very easy to press, but doesn’t offer a lot of tactile feedback, and actually feels kind of cheap, which is surprising, given the otherwise solid build quality of the device. Of course, as has also been the case with their previous smartphones, Meizu’s design inspiration is pretty obvious when looking at the Pro 5, with the device sharing more than a few common elements with the iPhone. But despite not being the most original design, the Pro 5 is still a sleek and attractive device. The Meizu Pro 5 sees a 0.2-inch bump in display size when compared to its flagship sibling, with it featuring a 5.7-inch AMOLED display. The display resolution remains at 1080p however, resulting in a pixel density of 386 ppi. Quad HD may have been expected with the larger display and the Pro moniker, but Full HD more than gets the job done in this case. Text and graphics are still very sharp and easy to read, and media consumption remains a joy with the additional screen real estate that is available. As is often the case with AMOLED screens, colors are bright, vibrant, saturated, and full of contrast, and the viewing angles are also excellent. All of it is covered with a 2.5D glass panel featuring subtle curves along the edges, and blending in quite well with the curved sides of the Pro 5. In a rather surprising move, the Meizu Pro 5 is powered by the same processing package seen with the current generation Samsung flagships, with the device featuring an octa-core Exynos 7420 processor, clocked at 2.1 GHz, and backed by the Mali-T760MP8 GPU, and 3 or 4 GB of RAM depending on your choice of storage. We all know how powerful and efficient this processing package can be, and it’s a great move by Meizu to use it with their flagship smartphone as well. As expected, the Pro 5 flies through basic functions and everyday tasks, and everything from scrolling, swiping between homescreens, and opening and closing apps, to more processing-demanding activities like gaming and multi-tasking are handled very well. The Meizu Pro 5 is definitely no slouch in the performance department, and no matter what you throw at this phone, it is not going to let you down. 32 GB or 64 GB are the built-in storage options available, which, as mentioned, also determines the amount of RAM you get. You can expand the storage via microSD by up to 128 GB, but with the second SIM slot doubling as the microSD card slot, users will have to make a choice between expandable storage or dual SIM capabilities. The Pro 5 comes with a standard suite of connectivity options, including 4G LTE. However, LTE band support is quite limited, which restricted my internet speeds to HSPA+ on the T-Mobile network. While still fast, the probable lack of 4G LTE support is something to keep in mind for consumers in the US. The single speaker unit at the bottom gets surprisingly loud, and the sound quality is actually quite decent as well. However, its placement means that it is very easy to cover up when using the device in the landscape orientation, especially while playing games, and the audio gets muffled easily. The Pro 5 also comes with built-in Hi-Fi audio, allowing for a much better audio experience when using headphones, which is great for those who use their smartphones as the primary music players. The Pro 5 comes with a fingerprint scanner embedded into the physical home button up front that is very easy to use, and features a tap and hold setup process similar to what is seen from the likes of Samsung and Apple. It is fast and reliable enough, and while there aren’t any major issues while using it, this isn’t the most accurate fingerprint scanner that I’ve come across. It does unlock the device on the first attempt the majority of the time, and fails to do so maybe only 2 out of every 10 attempts, which isn’t too bad, and certainly not enough to completely ruin the experience. The Pro 5 comes with a large 3,050 mAh battery, that allows for really good battery life. The screen-on time consistently passed the 4 hour mark even with a lot of gaming and watching videos on YouTube, and with moderate usage, it wasn’t difficult to get up to a day and a half of use out of the device. The Pro 5 also comes with fast charging capabilities via Meizu’s mCharge 2.0 technology, which results in the battery charging up to 65% in just 30 minutes. The Meizu Pro 5 comes with a 21 MP rear camera with phase detection and a laser auto focus system. The sensor is made by Sony, which is usually a good sign of the phone being capable of producing good looking photos, and that is true with the Pro 5, for the most part. In adequate lighting, the device can take some great looking shots, with plenty of color, detail, and sharpness. HDR image processing also brightens up the image further, and brings back a lot of hidden details from the shadows, without looking unnatural. However, as lighting conditions worsen, image quality deteriorates as well, and rather rapidly at that. Images begin to look soft and muddy, and with very little detail, and the camera also tends to overexpose, leading to a lot of overblown highlights. What really cripples the camera experience with the Pro 5 is the camera application itself. The app is pretty simple and straight forward to use, but the entire interface is tailored for use in the portrait orientation, and doesn’t rotate when switching to landscape, making for an extremely cumbersome experience. Further, common modes like HDR are buried within the camera settings, and when using the camera in the landscape orientation, switching between different modes is a slow process. The camera interface does work very well when taking selfies with the 5 MP front-facing camera though, but things are much less desirable when it comes to using the primary shooter. On the software side of things, the Meizu Pro 5 is running the latest version of the Flyme OS, based on Android 5.1 Lollipop. However, you will be hard-pressed to find any Material Design elements across this user interface, or even some aspects of the general Android experience that you may be used to, such as the fact that there is no app drawer to be found, leaving users dependent on folders to keep things organized. That said, the UI is actually quite clean, with some nice transparencies and minimalistic looking icons, and isn’t overly colorful like some other user interfaces out there. The Flyme OS may not be your typical Android experience, but it doesn’t try to overwhelm you with features either, with just a few built in to keep things interesting. Most of these features are gesture-based, including double tap to wake, swiping downwards to bring down the notification shade, or drawing different characters on the screen to open up various applications. There is also what Meizu likes to call Smart Touch, which essentially puts a virtual joystick of sorts on the display, that can be re-positioned anywhere on the screen. It can be configured to perform a variety of actions, some of which are identical to the gesture controls, such as double tap to close an application, swipe left or right to switch between tasks, and open the notification drop down, just to name a few. The Meizu Pro 5 is currently priced at $513 for the 32 GB (and 3 GB RAM) version, requiring an additional $60 for the 64 GB and 4 GB RAM iteration. So there you have it for this detailed look at the Meizu Pro 5! 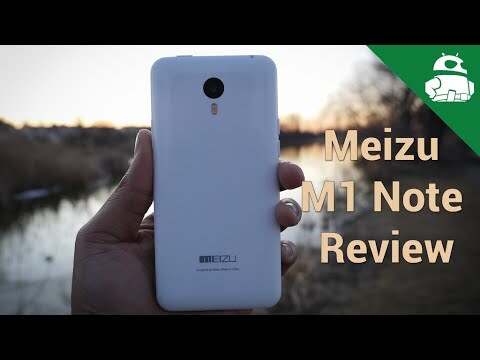 Meizu is generally known for their affordable smartphone offerings, and while affordable certainly isn’t one of the ways to describe the Pro 5, it is still quite aggressively priced for all that it offers. While this device isn’t ideal for US consumers due to the lack of 4G LTE support, it is certainly a great choice for those in other markets around the world. With an all metal construction, a beautiful 5.7-inch display, a fingerprint scanner, and a processing package that is arguably the best right now, the Pro 5 is easily the best flagship Meizu has released to date, and should certainly not be overlooked.